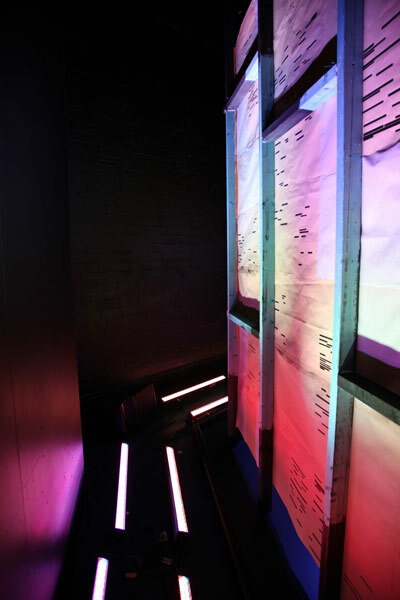 The Set Design for this production was challenging in a number of ways. 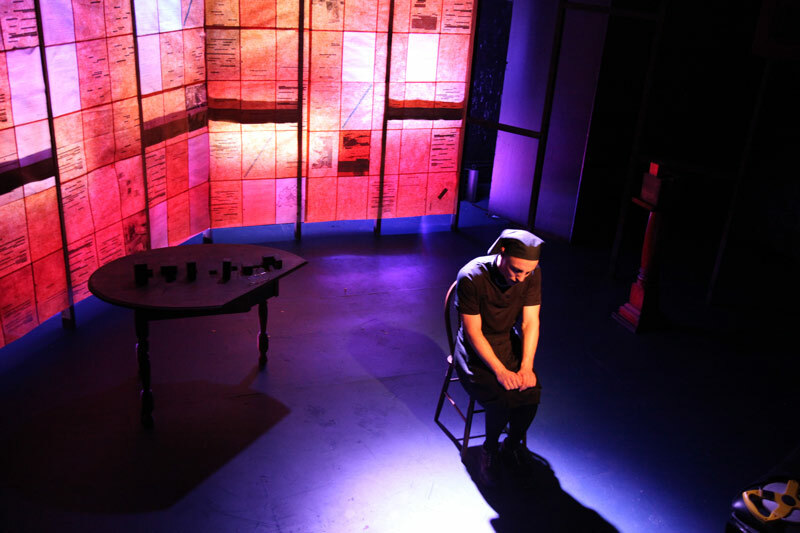 It had to be able to change dramatically throughout the play, it needed to be re-usable and possibly tour all compounded by a small budget. As it's a one person play it needed to change to sustain interest. 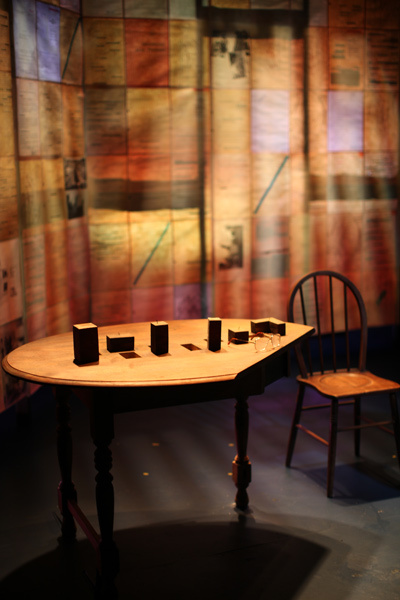 As the play hinges on Charlotte'e telling of her story and the discovery of the Stasi files, I decided to make the set completely from Stasi files. 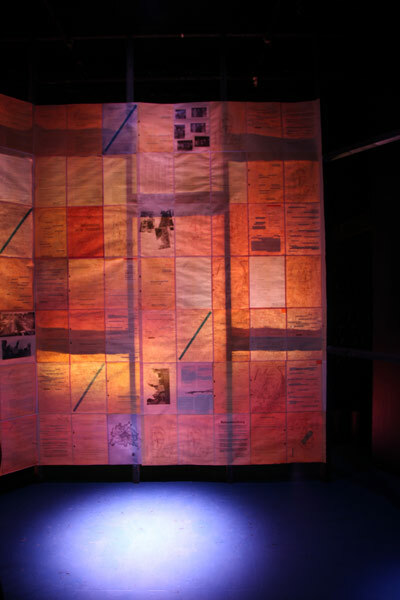 With Stasi files sourced online from the German Government, printed onto parchment and glued together, paper walls were created that would glow like lanterns. 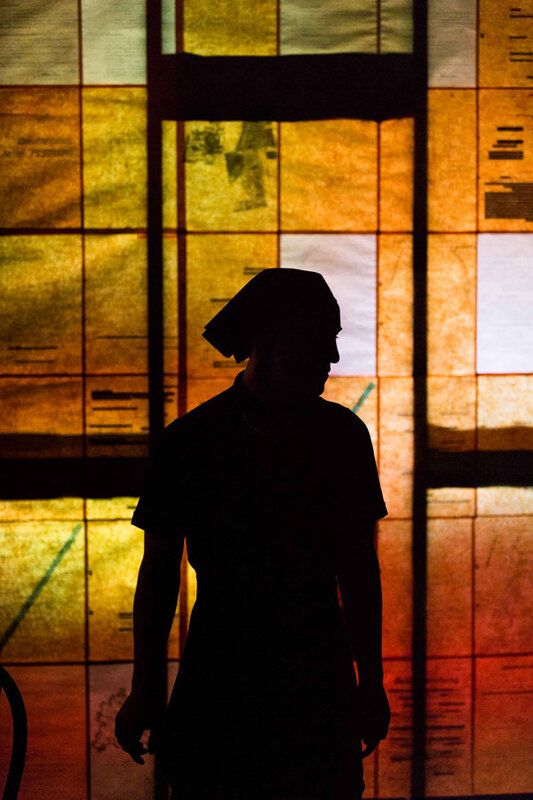 In Act Two when the Stasi files are discovered by Doug (the playwright) the paper is backlit, and the files glow. This also reveals that the files have been edited with large parts of the text blacked out (redacted) on the back of the page. It is at this point the audience discovers how much Charlotte has left out of her telling of the story. The table is the other crucial part of the set. In the script the playwright suggests small pieces of furniture are taken out of a box as Charlotte describes them in detail. 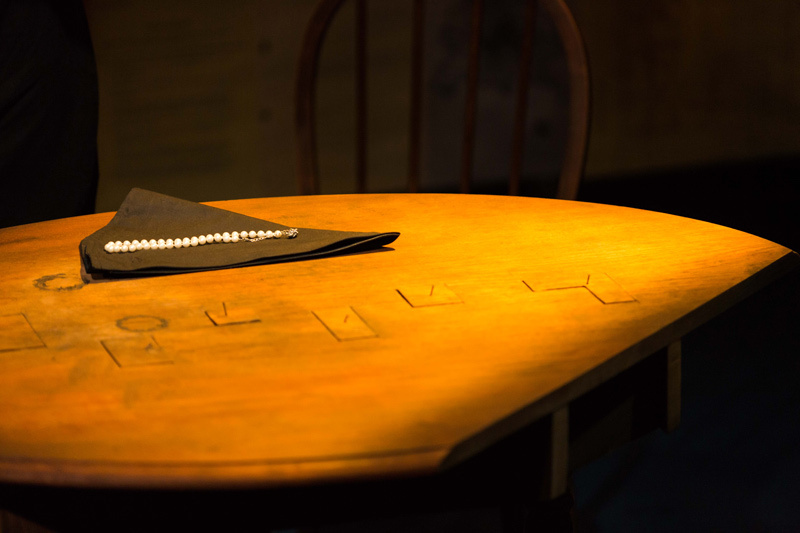 For this play the table itself has been 'edited' with sections taken out of it to reveal it's structure. As Charlotte describes these pieces she removes square pieces of the table top itself and imbues them with meaning. This happens as if by magic as the pieces fit within the table top. 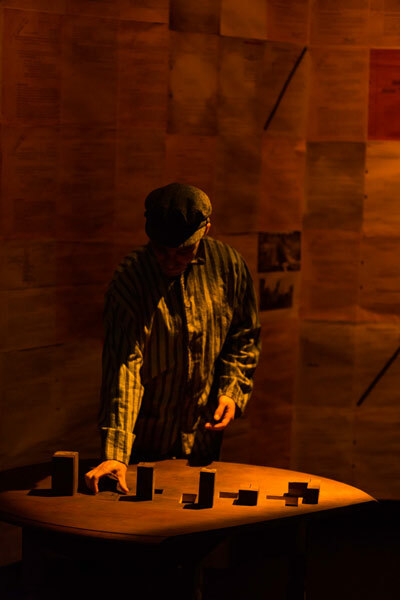 These pieces are then used throughout the play. 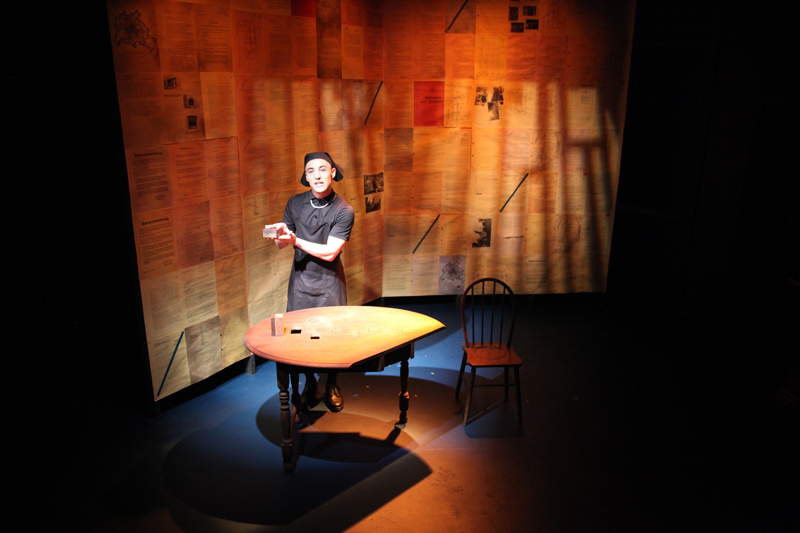 The set aims to demonstrate that another person's truth is always edited and cannot be completely known, understood or judged. 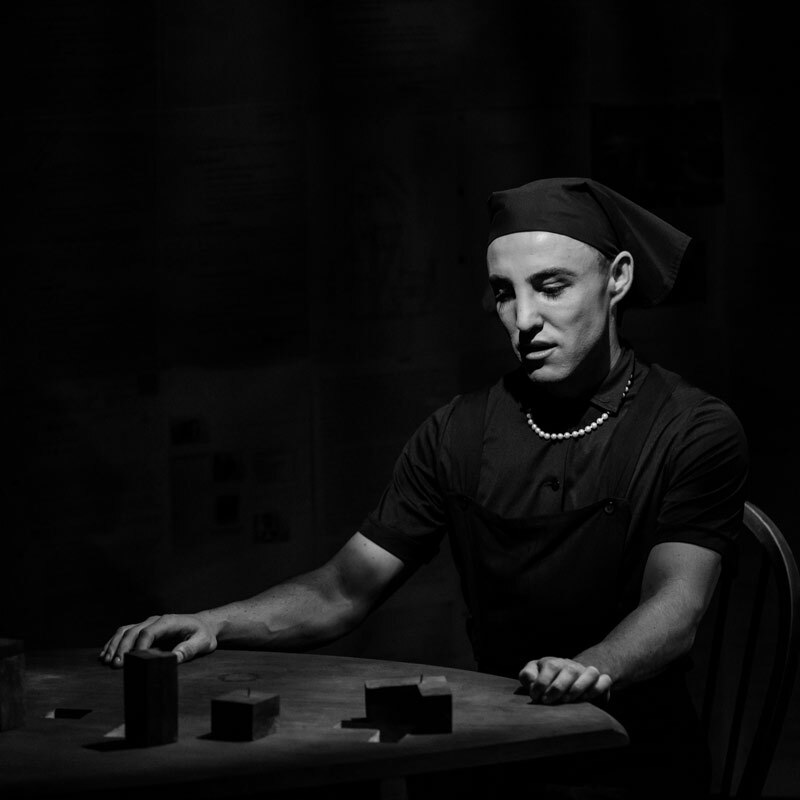 The design of this set was heavily influenced by Director Shaun Rennie and the Actor Ben Gerrard. It was only through Ben's acting precision that such a precise and fragile set was developed.